This is a Kia Cee'd. It used to be the reasonably priced car that celebrities would toss around Top Gear's test track. But it's not anymore. Want to see the new one? Click below, or don't if you want to avoid spoilers. 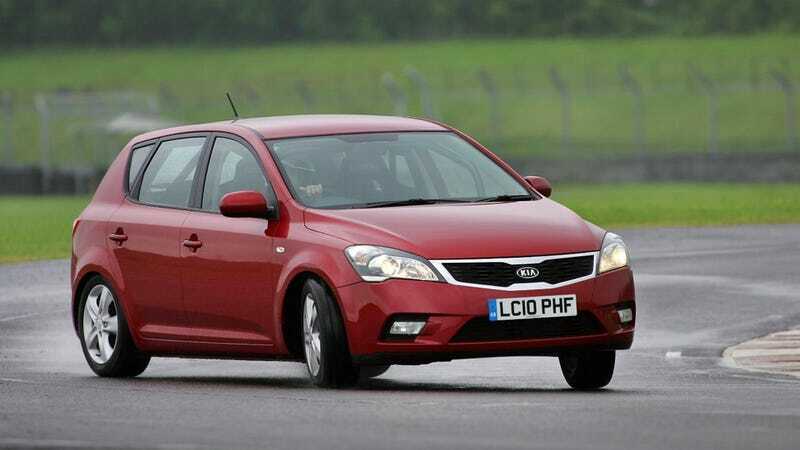 This is the new reasonably priced car! It's a Vauxhall Astra. Just look at how exciting it is. The mere act of looking at it makes me break out into excitement-sweats. At least, that's according to this thread over at reddit's r/topgear, which has some photos and details from the new season that is currently filming. There's also a list of guests lined up for this season. I won't spoil them for you, but I will say I'm really pumped about one star who's a pretty big deal on Game of Thrones. That should be fun to watch. The first episode of Season 20 debuts on Sunday. Check out the reddit thread for more details if you dare. Do we look forward to the Astra getting hooned on the test track, or will we miss the Cee'd?